Wow! This bridal comb is simply breath taking! The beautiful gold platting with Genuine Swarovski Crystals, and accented rum pearls are such a beautiful combination. Available in both silver and gold coats of platting. This item is a great way to use the touch of color in the pearls to pick up accents in dress wear or other pieces of jewelry being worn. 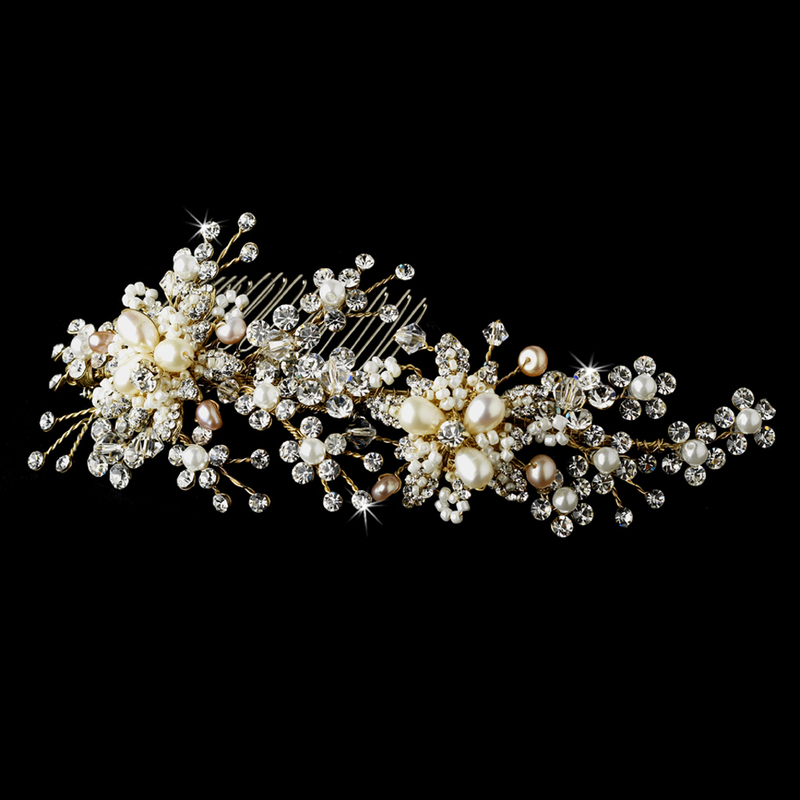 Don't miss out on this gorgeous comb. Brides are dying to get their hands on it. Perfect for weddings, proms, quinceaneras, and special occasions.